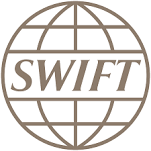 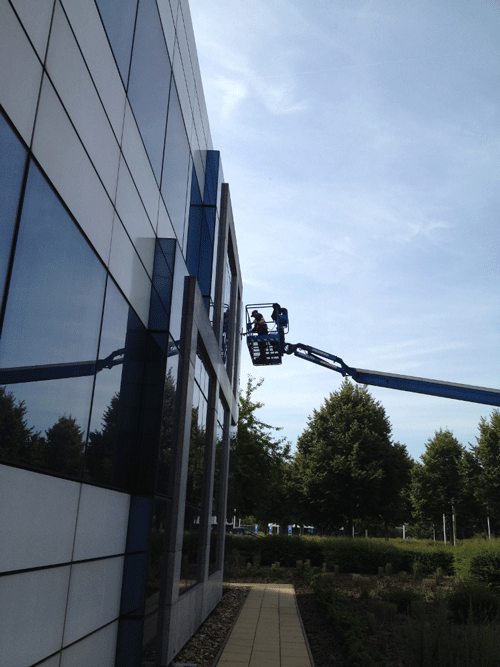 Our customers: schools, shops, office buildings. 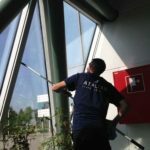 We clean both outside and inside (counters, glass walls). 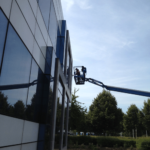 We also give façades and windowsills (limescale, graffiti) a new look. 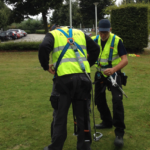 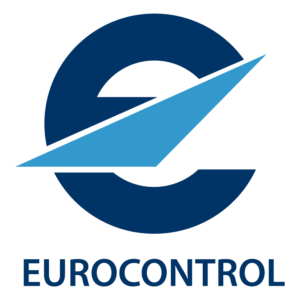 A basic safety certificate VCA / IRATA is self-evident. 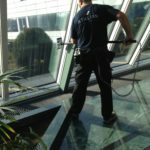 Of course, we control both traditional techniques and glass cleaning with osmosis technology. 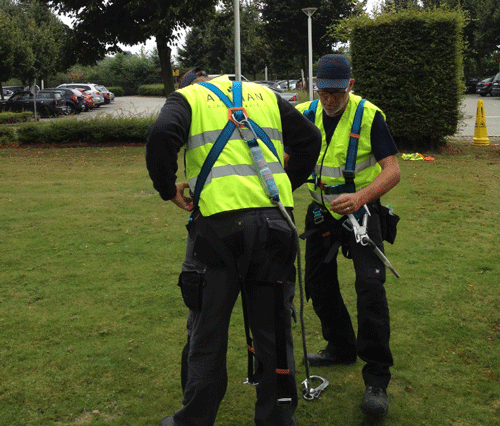 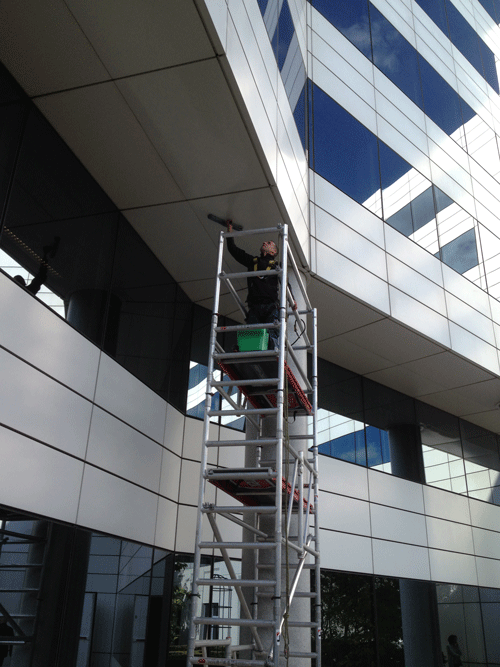 We can also provide repairs or maintenance to your outdoor lifts. 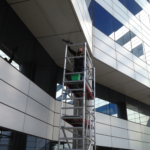 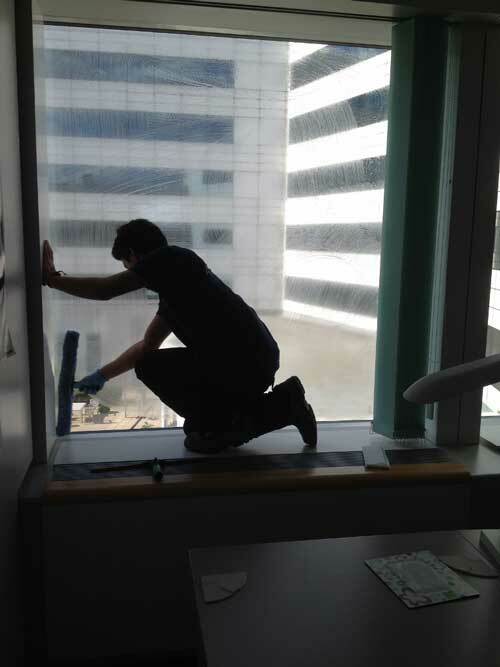 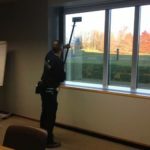 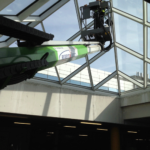 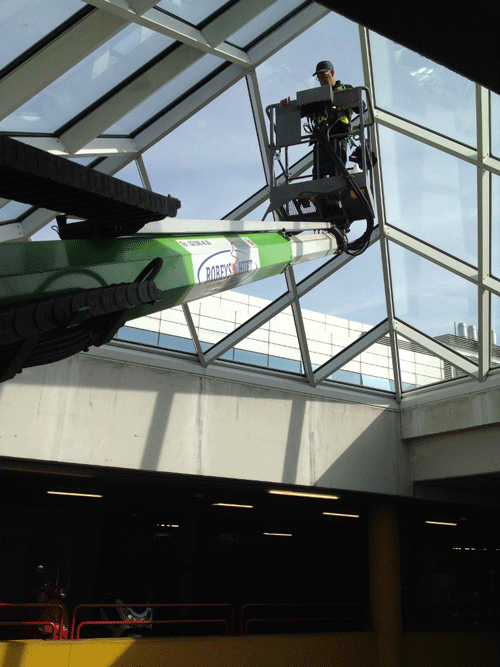 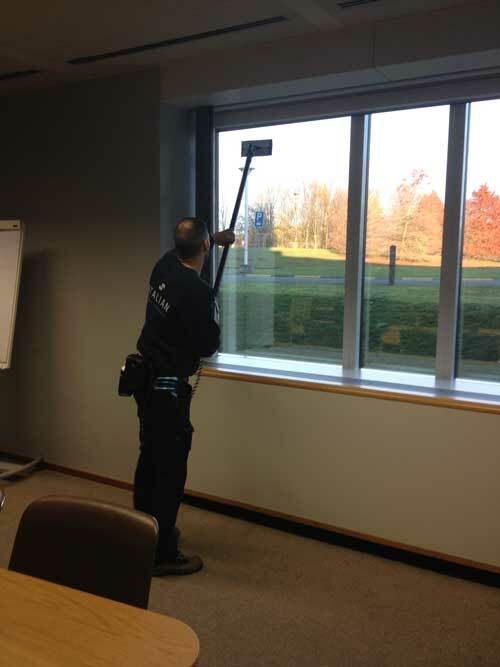 Clean windows reflect the image of your company, and safety is and remains a priority for everyone. 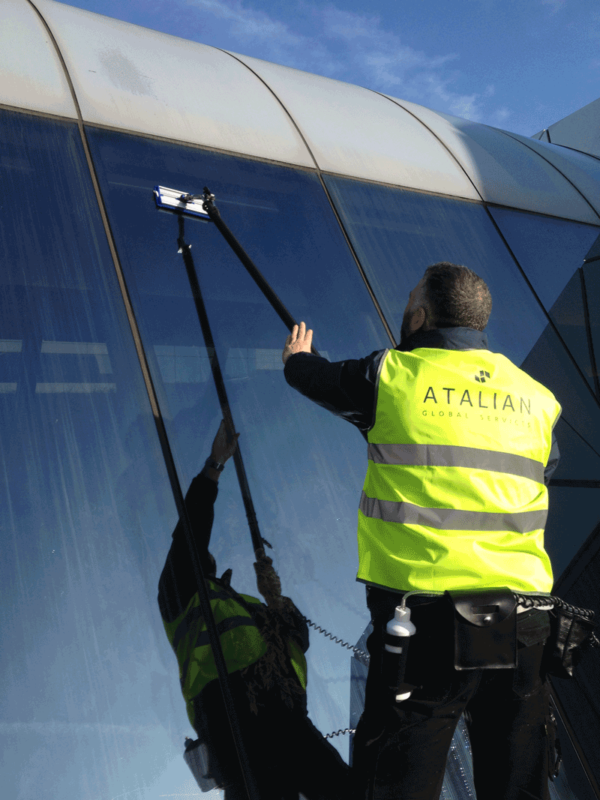 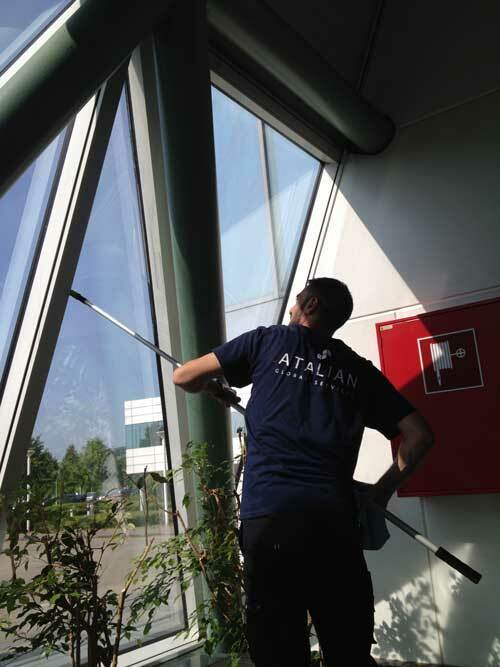 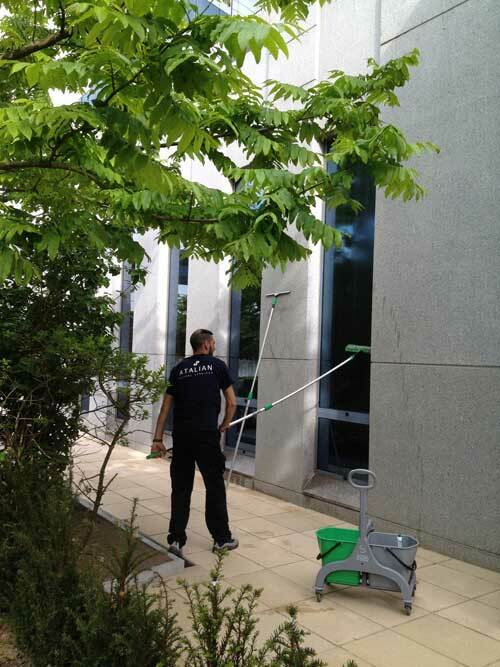 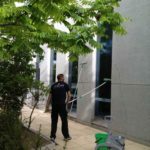 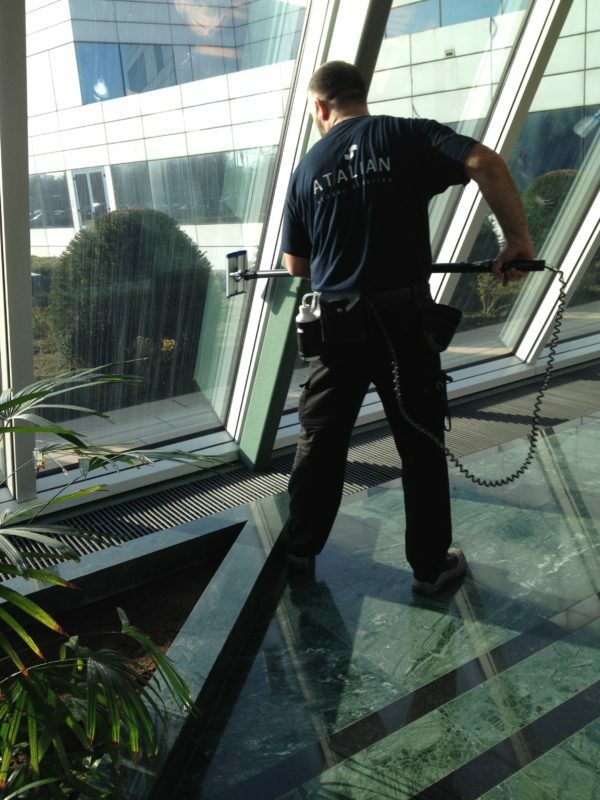 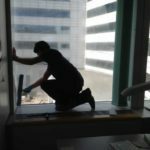 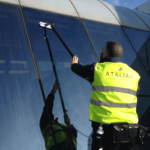 With years of experience and expertise in cleaning windows and windows, ATALIAN can offer you a tailor-made service in view of your safety regulations (VCA ** 2008/5 certification and SSPP).